This newly renovated championship golf course is built on 160-acres. It was originally built as a 9-hole private club in 1962, with the second nine added in 1963. In the years that followed, it became a public course that served the needs of area golfers for decades. In 2003, it was closed after a developer bought the property and announced plans to build 450 homes. However, dedicated government officials and the local community worked cooperatively as the State of Delaware purchased the property and retained it as open space and an amenity for area residents. 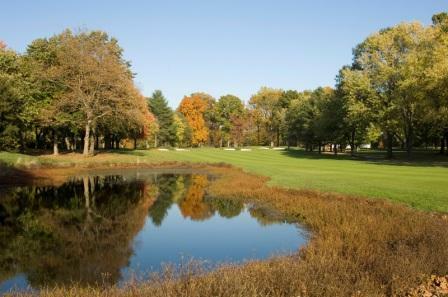 In 2006, the Delaware Division of Parks and Recreation began renovations of the course. The renovation project was completed in sixteen months, with the grand re-opening taking place in September of 2008. The completely rebuilt greens are larger and more undulating. Originally mostly round or oval, they now feature undulations and irregular shapes. Enhancing the green complexes are many larger greenside bunkers. Tee boxes have been rebuilt, with five sets of tees to accommodate all skill levels. A new well and pumping system are in place, and the driving range/practice facilities conveniently located close to the first tee have also been completely rebuilt. The pro shop and food concession buildings between the parking lot and practice area are of modular construction, in keeping with the overall concept of minimizing costs in order to keep greens fees as affordable as possible. Over 400 trees were removed as part of the renovation to improve playability, increase air circulation, and promote healthier turf conditions. The remaining trees along fairways have been pruned as needed to allow equipment access. While the layout remains basically the same as originally designed by Edmund Ault, the renovation changes were designed and overseen by Ault’s son, Brian.